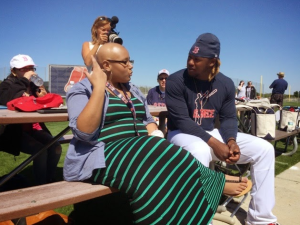 More than 40 Jimmy Fund Clinic teens flew to Florida to meet their Red Sox heroes and were able to just be kids amid rigorous cancer treatments. For Kyle O’Grady, it was feeling good enough to get out of his wheelchair much of the time. 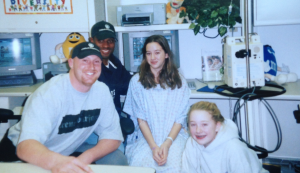 For Olivia Bowie, it was bonding with a roommate and new friends who understand what dealing with cancer as a teenager feels like – because they are going through it, too. 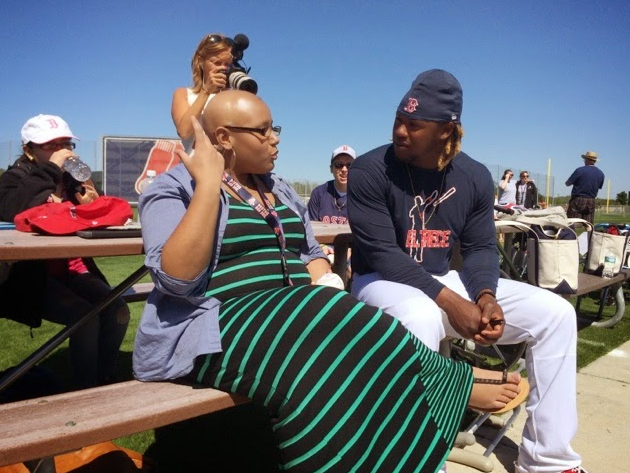 While meeting members of the Boston Red Sox and watching them in action during a spring training game were certainly highlights of the March 27-29 Jimmy Fund Clinic trip to Fort Myers, Florida, it was the less-heralded moments that often stood out to the 45 teenage patients and 24 chaperones who headed south. 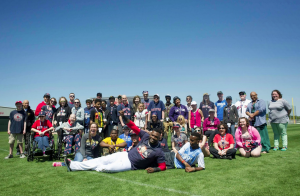 The teens enjoyed some a weekend packed with activities including a visit to JetBlue Park at Fenway South in Fort Myers, Florida. 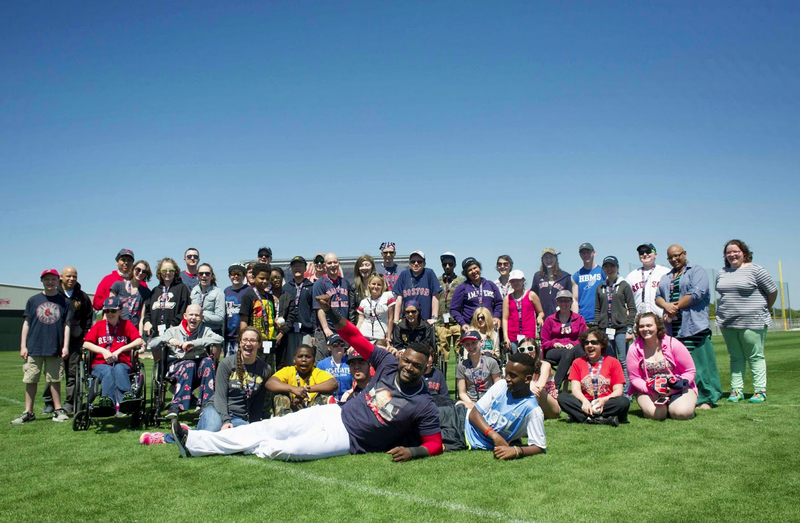 Gaining confidence and new friends is a major focus of the spring training trip, which was started 13 years ago and gives teens an opportunity to enjoy themselves with no hospitals or parents in sight. The annual trip is made possible by the generosity of JetBlue and of Jimmy Fund Golf’s tournament Tame The Tigers presented by Amica Mutual Insurance Company. The chaperone crew includes seven doctors and 11 nurses to handle medications and other needs, but these caregivers are also among those swimming with kids at the hotel and pitching batting practice in the girls vs. boys baseball game. 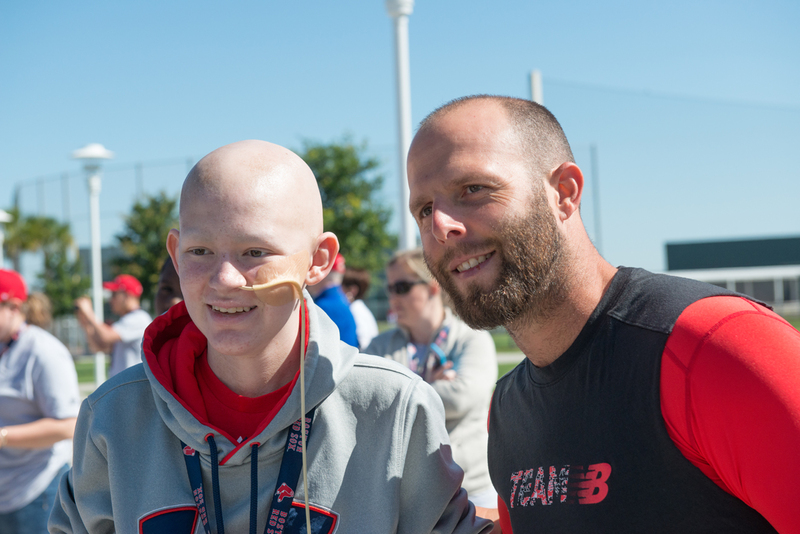 Jimmy Fund Clinic patient, Kyle, and Red Sox second baseman, Dustin Pedroia spent time together during the teens annual visit to spring training. 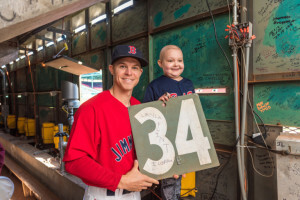 The baseball perks teens enjoyed during the weekend included posing for photos with Red Sox stars like Dustin Pedroia and Clay Buchholz and playing ball on the big-league diamond at JetBlue Park at Fenway South. Adolescent Specialist Jen Noonan did a double-take when she first noticed that O’Grady wasn’t in his wheelchair during the boys vs. girls game, and then saw him out at shortstop. 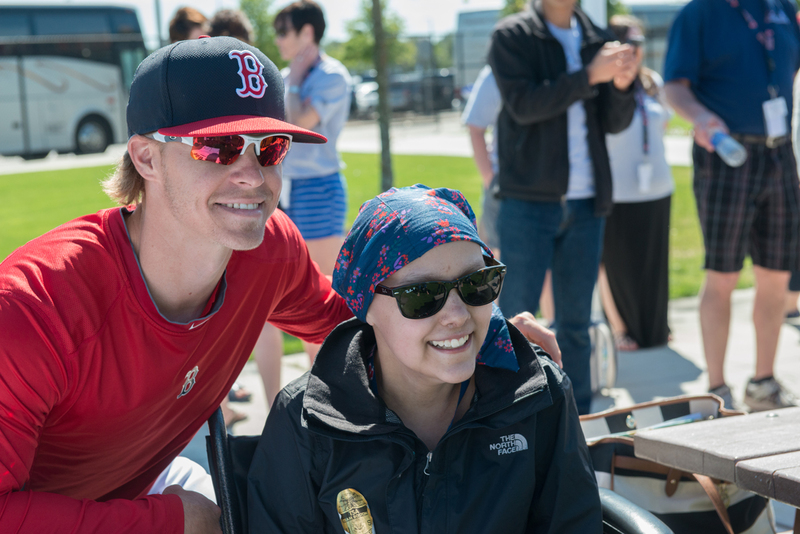 Boston Red Sox third baseman and 2015 Jimmy Fund Co-Captain, Brock Holt, brought smiles to the teens during their visit to JetBlue Park at Fenway South. Parents back home were able to keep tabs on sons and daughters through a blog where photos were continually posted, but they knew it was important that they be out of the picture. 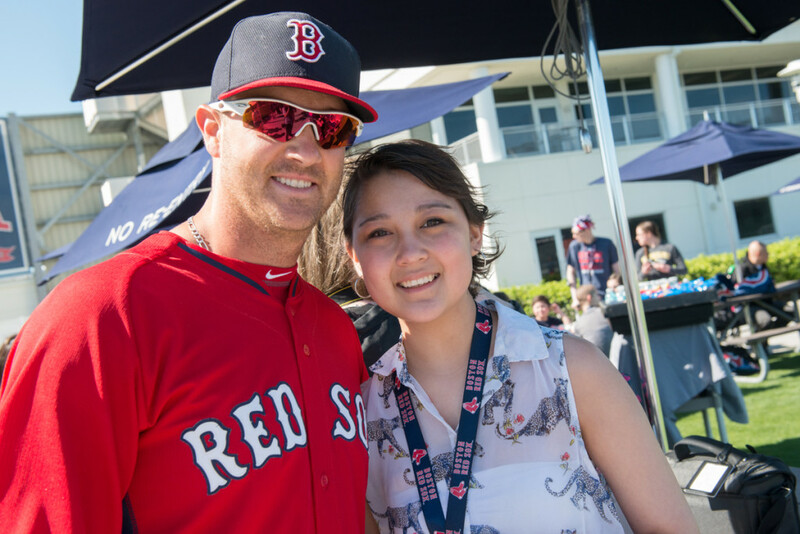 The Jimmy Fund Clinic teens bonded with their Red Sox heroes during a visit to spring training. It was what came before the drive home that most delighted O’Grady’s mother, Abbie. When the bus carrying the clinic group back from Logan Airport arrived at the Yawkey Center, Kyle got off, walked all the way over to Abbie on his own, and then gave her a huge bear hug. 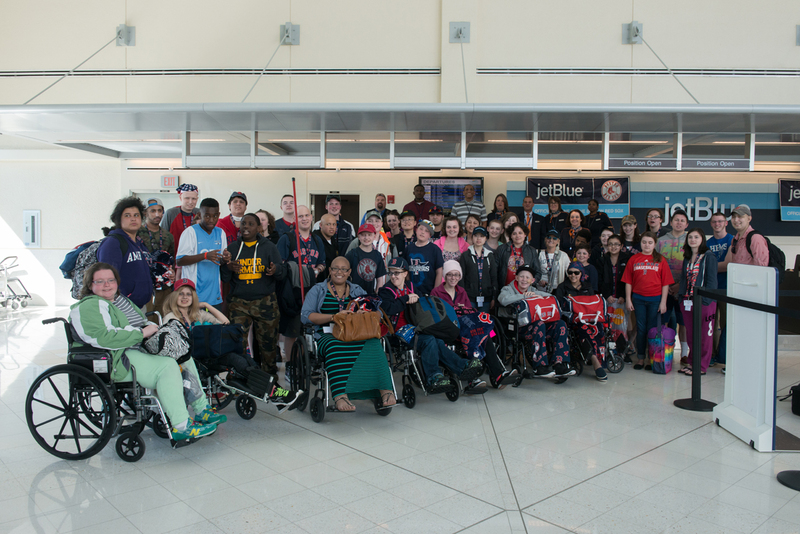 A group shot of the Jimmy Fund Clinic teens at the JetBlue terminal before departing home to Boston, Massachusetts. My heart is so happy for these children.It moves me in ways I have never felt. … I would love to know how to get involved with this beautiful organization. …..PLEASE let me know how I can get involved in this privilege. .. 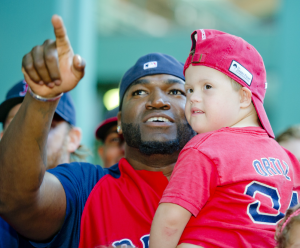 The Jimmy Fund Clinic is oneof the world’s premier centers for pediatric cancer research and treatment.